Getting a new musical instrument is exciting and overwhelming at the same time. There are some important things you need to consider, and you have to stick to your budget. In addition, there’s a lot to know for a beginner when it comes to learning how to play the violin. Therefore, this checklist will help you with some tips before you get a new violin. You will need a shoulder rest. When playing the violin, this accessory helps you feel comfortable while keeping your shoulder from pain or injury. The shoulder rest is tucked between the chin and the shoulder. Beginners might also need a tuner in order to make sure their violins are in tune. If you’re new to playing the violin, it will be hard to determine the right tune. You can use a tuner to help you improve the sound of your new violin. Another important tool to help create great music is the rosin. It keeps the strings and the bow in tune through proper friction. Rosin is a hard and sticky object, basically made of pine resin and conifers. This is applied to the bow’s hair to create friction when it touches the string. Always prepare some extra strings. This is especially true if you’re performing for a show, or simply practicing at home. Over time, violin strings grow thin and you need to replace them. If you’ve got extra strings, it’s easier to replace a broken string. To make sure your violin strings are always in good condition, you can use the peg compound. Sometimes, the humidity will affect the strings and the sound your violin makes. In order to keep the violin pegs working smoothly, peg compound can be applied. For comfortable carrying, get a violin case to help you keep your instrument safe from damage. This is particularly important when you frequently bring your violin outside your home. Always keep your violin in the case to avoid humidity and other damaging elements. 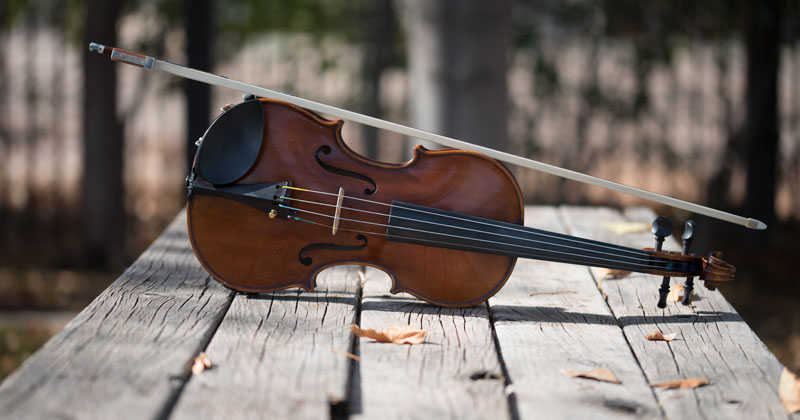 If you’ve decided learn to play the violin, opting for a beginner violin would best fit you. The checklist above is only some of the most helpful tips you need to know. The violin, bow, and strings are the most important parts of your instrument. Do your best to keep them in perfect condition using the necessary accessories available. Over time, you will surely acquire the professional skills of a violinist.